(Atlanta, GA) United Turf Alliance announces the addition of fluazinam-based ArmorTech Rotator Fungicide to its line of professional turf management products. ArmorTech Rotator Fungicide is notable for its fungicidal efficacy on major golf course diseases, such as Dollar Spot and 11 other turf pathogens. As a new source of the active ingredient fluazinam, Armor Tech Rotator Fungicide gives U.S. golf courses an important additional tool for rotating chemistries, which is essential for managing turf disease resistance. Offering excellent application flexibility, ArmorTech Rotator Fungicide can be used as a rotational partner for chlorothalonil and in combination with systemic fungicides. The product is labeled for use on golf course turf including greens, tees, fairways, and roughs. The product will be available in early 2017 as a 4.17 lb./gallon flowable formulation of fluazinam packed in 4 x 1-gallon cases. ArmorTech Rotator Fungicide will be available exclusively from the United Turf Alliance members and dealer partners. 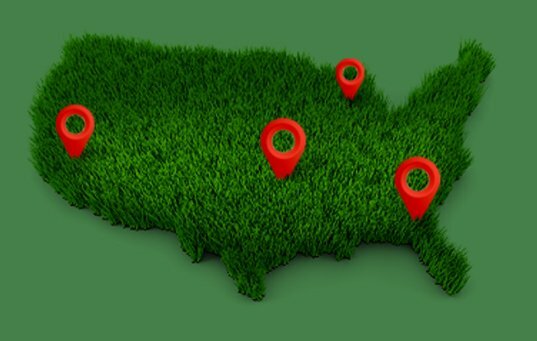 Incorporated in 2005, United Turf Alliance markets turf protection products under the ArmorTech and Optimizer® brand names exclusively through its members and dealer partners. The alliance directs its efforts toward discriminating golf course superintendents and other turfgrass professionals who value relationships based on industry and product knowledge combined with excellent customer service. Always read and follow the label use directions. Looking for something else? Check out the United Turf Alliance’s product page for other fungicides, herbicides, fertilizers and more.